Once a high railroad pass between Denver and Leadville, the Boreas Pass is now a draw both for mountain bikers and those who enjoy beautiful views from the comfort of a car. Boreas Pass, CO is an 11,481 ft. pass, originally made for a narrow-gauge railroad. Vistas of the Blue River Valley, aspen groves, pine forests and summer wildflowers abound. Visit the remains of the Boreas Station, abandoned in early 1900's. Ride your mountain bike up the pass in summer or take your cross-country skis in winter. At Boreas Pass, Colorado's history and beauty walk hand in hand, available for anyone who ventures out to find them. The silver boom of Leadville called for a railroad pass over the high Rocky Mountains. The Denver South Park and Pacific Railroad tackled the incredible challenge, finishing the pass in 1882. At the top of the pass, the historic Section House, Ken's Cabin and a Colorado and Southern Boxcar are the sole reminders of the original Boreas Station. Take a break at Rocky Point to walk a section of restored narrow-gauge track. 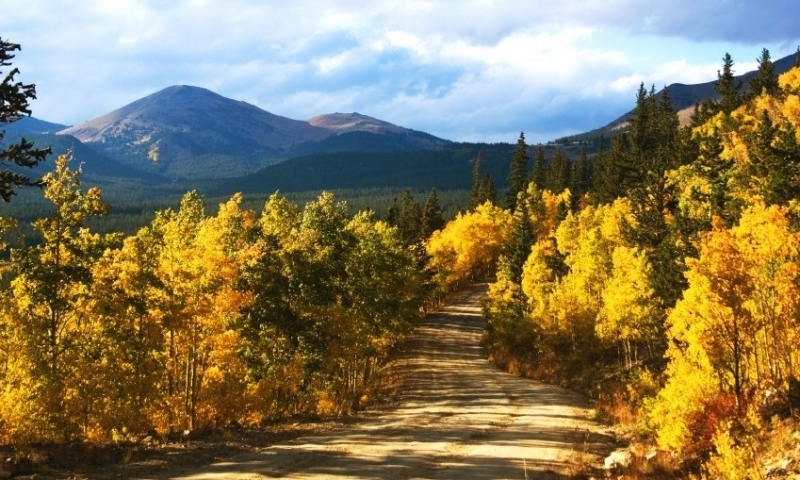 The Boreas Pass is a great option for biking enthusiasts. Although the track is not a particularly steep or technical ride, the altitude will show its effect as you approach the pass at 11,481 ft. elevation, huffing your way up. From the top of the pass, you have the option of heading down the south side of the pass to Como/South Park, or trying the single track back to the parking lot. Take advantage of the solitude of a high-country winter. Use the Section House for a hut-to-hut trip or head out for a simple day of cross-country skiing. Take CO-9 south out of Breckenridge and Boreas Pass Road will be on the left. The pass is closed to automobiles in winter, or by Nov 1. Backcountry mountain pass near Aspen Colorado.